According to the Russian Defense Ministry, militants are arriving in Syria’s Idlib after being trained by a private British military company called Olive. “Western countries’ actions in spite of their public statements are aimed at another sharp deterioration of the situation in the Middle East region and the disruption of the peace process on the territory of Syria,” ministry spokesman Igor Konashenkov noted. “To carry out the alleged ‘chemical attack’ in the city of Jisr al-Shughur in the province of Idlib, militants from the Tahrir al-Sham group (affiliated with the Jabhat Nusra* terror organization) had delivered 8 tankers with chlorine… to a village a few kilometers from Jisr al-Shughur,” the general stated. “This provocation with the active participation of the British special services will serve as another pretext for the US, UK and France to conduct a missile strike on the Syrian government and economic facilities,” Konashenkov said. “The militants are tasked with imitating the rescue of victims of chemical weapons’ use in the vestments of the notorious White Helmets,” Russian Defense Ministry spokesman Igor Konashenkov noted. “We can hear ultimatums voiced by Washington, including public statements. This does not affect our commitment to fully eliminate terror cells in Syria and return this country to normal life … We warn the United States and its allies against new reckless moves,” Ryabkov said. “The fact that the western states do not want to participate in [these efforts] once again proves that they have other goals [which are] to further destabilize Syria, not shunning any tools and continue seeking new pretexts for raising the issue of regime change, the transfer of power in Damascus. There is nothing new about this … We are ready for such developments, we expose their intentions. But the US [authorities] do not seem to learn from history, including recent history, because we can currently see the escalation of the situation [in Syria],” Ryabkov noted. The US, UK, and France coordinated a massive airstrike on Syria in April 2018 after the alleged use of chemical weapons in Douma had been reported by the controversial NGO “White Helmets”, which has repeatedly been caught staging false flag attacks. 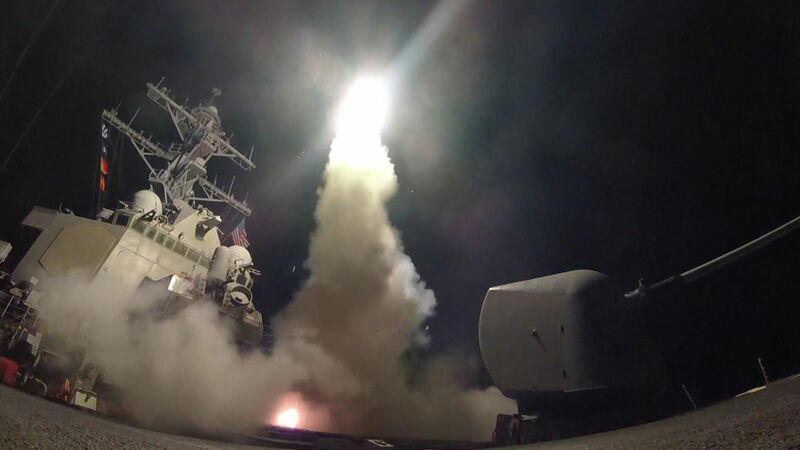 The first Western missile attack on Syrian government forces was conducted by the United States on April 7, 2017, after Washington had accused Damascus of being behind the purported use of chemical weapons in the settlement of Khan Sheikhoun in Idlib province. Damascus has strongly denied the claims, with President Bashar Assad saying that the attack was a provocation aimed at justifying the US strike on Syria. *The Jabhat Nusra (also known as Al-Nusra Front) is a terrorist group banned in Russia.